Previously I wrote about the use of timers as a classroom management tool in a 1-to-1 environment. Today I wanted to list a few excellent classroom timers. What should you do with this collection of time keepers? Bookmark your favorite classroom timer! UPDATE: A new resource for a count-down was added at the end of this article upon the suggestion of a Tekiota reader. Let’s start with e.ggtimer.com. This is a very simple and clean classroom timer which does one things very neatly: it counts down time. I added the egg timer to my bookmarks bar because of a nice feature: each timer has a separate URL, a clean address which you can access directly. To get a 30 minute timer, I bookmark and visit e.ggtimer.com/30minutes. I also very much appreciate the simple pop-up window and its accompanying non-obtrusive audio alert at the end of the countdown. There is a neat another hidden feature of Google Search. The keyword “timer” will rapidly bring up an easy to use timer directly on top of your search results. 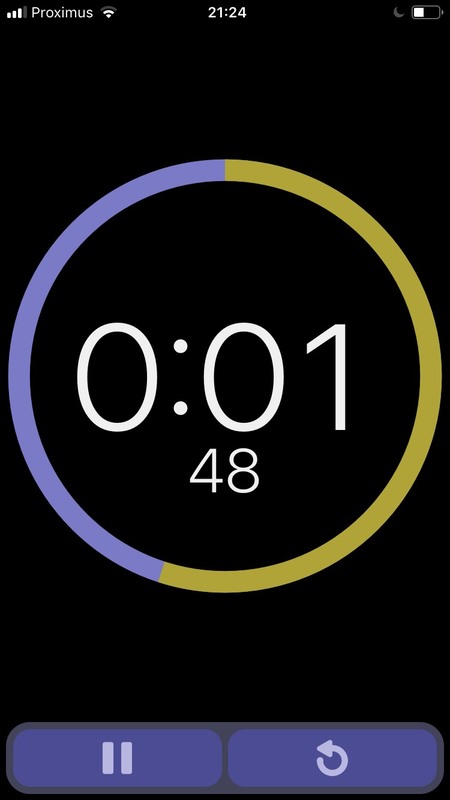 You can adjust the duration of the countdown, choose to mute the alert, and display the timer full screen. 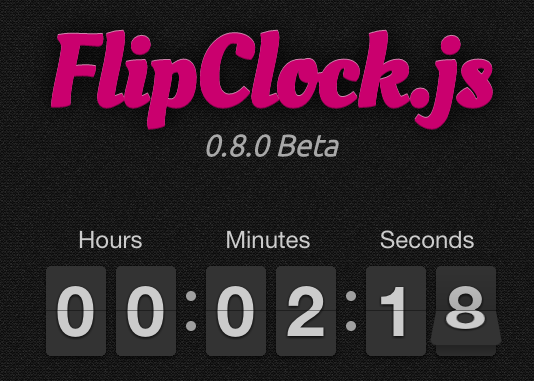 Once the time elapses, you can reset the timer in one click. Unfortunately this option is no longer available, but look at the end of this article for a more recent suggestion. This is a rather old school timer as this website has been on for a very long time (no pun intended) but there is a reason for this. Although quite ugly, it is very easy to use. 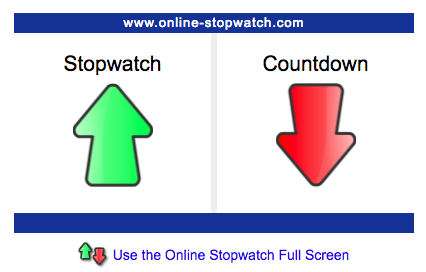 Click the green arrow to start a stop watch, or click the red arrow to begin a count down. Welcome to online stopwatch: www.online-stopwatch.com. Online Timer has some smart default settings to let you launch a 1-minute, 5-minute, 7-minute, 10-minute… timer with a simple click. Plus my personal favorite option: at the end of the remaining time, your alarm can be a rooster call. Classic flex. I also must add the timer app I use every day, multiple times a day on my phone. It’s called Visual Task Timer app. If you are looking for more features in a timer, such as time elapsed, time remaining and an actual clock, you might want to consider other classroom timers. If you want find one, let us know about it in a comment or by email, we’ll be sure to feature it here!